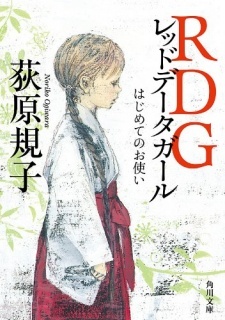 A modern fantasy based on Japanese Shinto legends. Suzuhara Izumiko is a 15-year-old girl, who has been raised and protected in a shrine deep in the Kumano mountains. She is quite shy and destroys all the electric devices she touches. When she begins to think about going out of the mountains and moving to the city, her guardian Sagara Yukimasa recommends her to enter a high school in Tokyo and forces his son Miyuki to serve Izumiko for life. Miyuki and Izumiko repel each other but their relationship begins to change when a terrifying accident occurs on the school excursion. Izumiko learns her fate as the last representative (yorishiro) of a Himegami goddess and Miyuki learns of his duty as a guardian Yamabushi of Izumiko.